The Sherlocks are announced to appear at BBC Introducing – Live at Tobacco Dock, London on Thursday 8th November. The brand new three-day music festival is dedicated to discovering & supporting new music. It encompasses live shows, music industry workshops, interactive sessions, inspiring performances and masterclasses. Entrance to the concert is free to anyone who has purchased a £10 day ticket or weekend pass to the Introducing Live event. 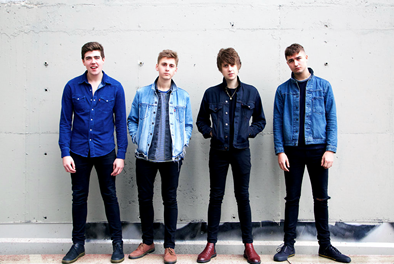 The Sherlocks are Kiaran Crook (Lead vocals/Rhythm Guitar), Josh Davidson(Vocals/lead Guitar), Andy Davidson(Backing Vocals/Bass Guitar) and Brandon Crook(drums).